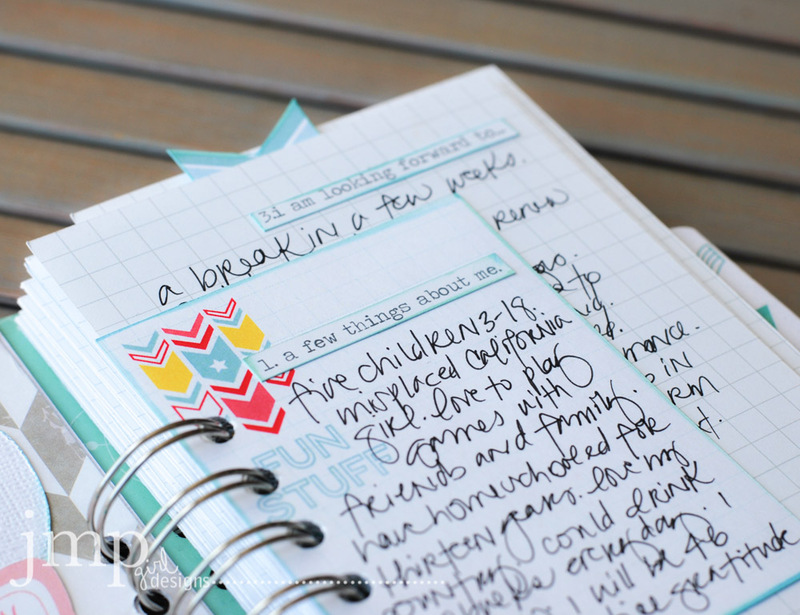 One of my blogging friends, Monica from the I Love It All blog, is always making lists. 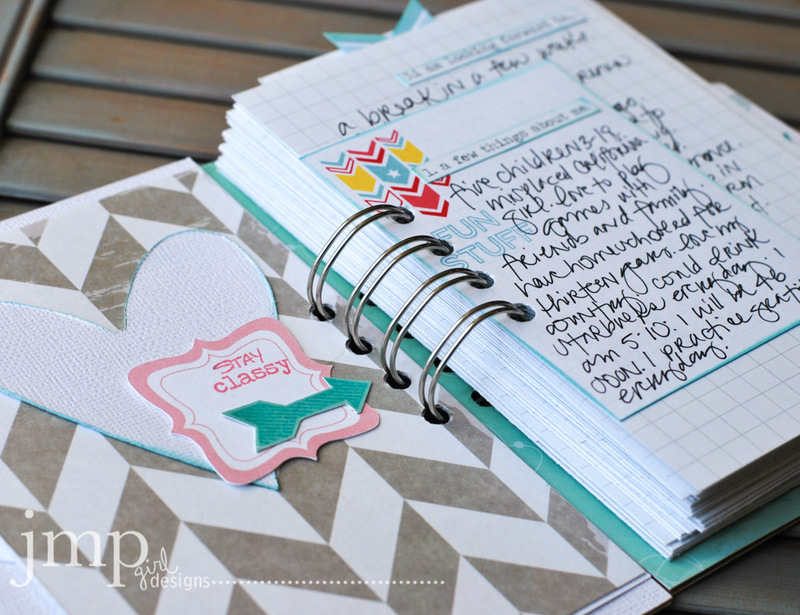 She sells these amazing journals and she is always sharing these amazing lists and I am always inspired by her. 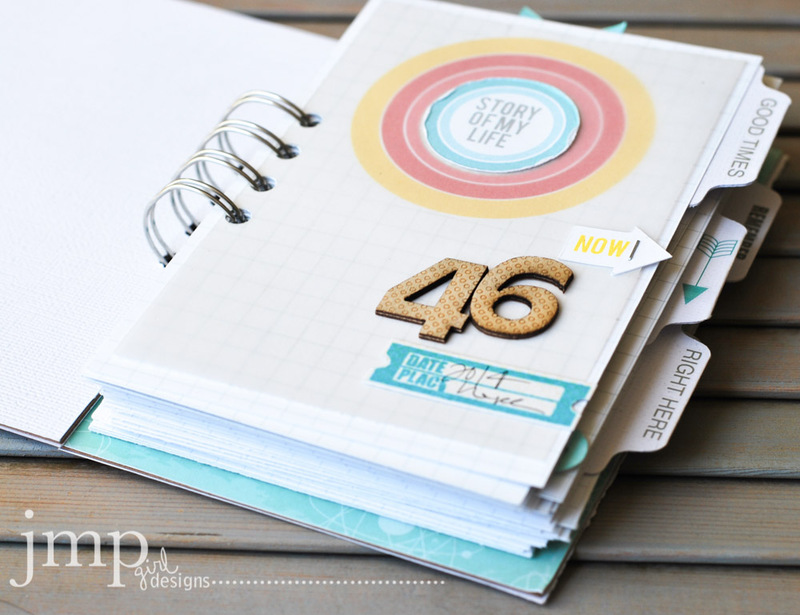 And so I put to work some of her lists inspiration this past month and here's what I did. 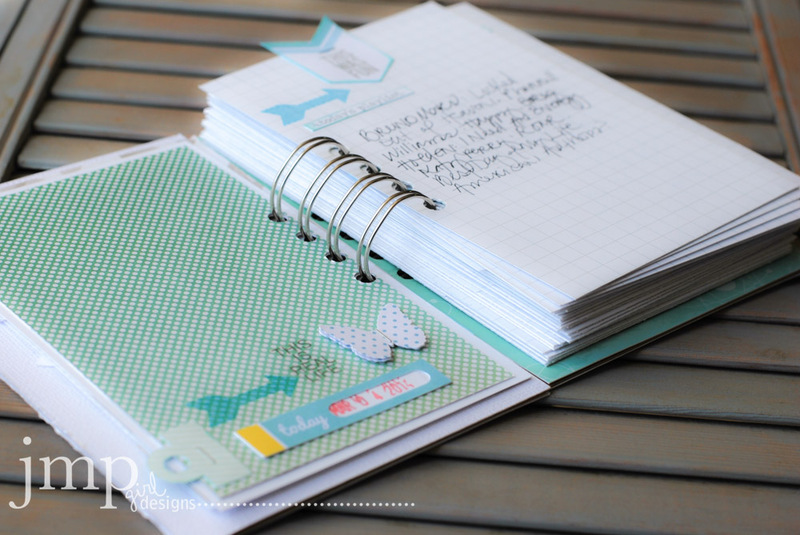 For this little Cinched book I used the Chic Tags exclusive March Kit. The March 4 x 6 journal card was a perfect mini album cover. 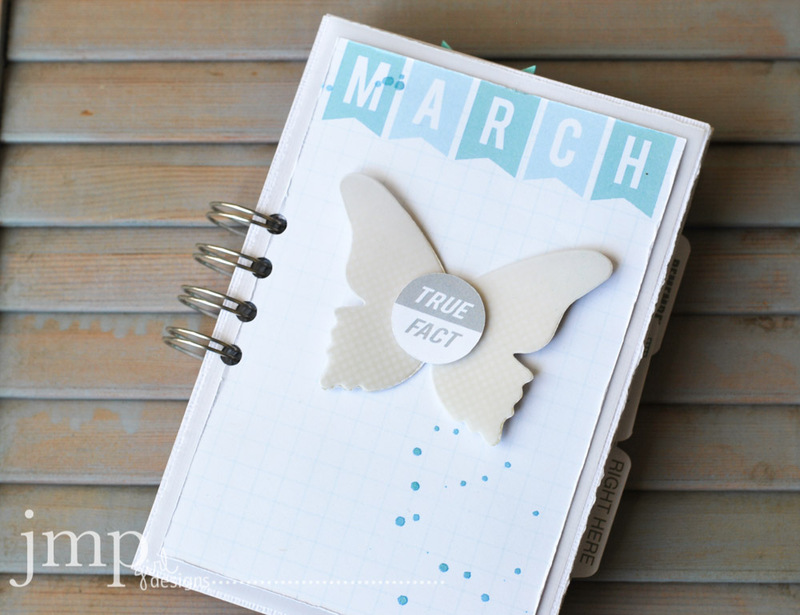 A butterfly was cut from the School House Lessons 12x12 pattern paper and then layered with a piece of vellum. I wanted a real soft, real simple book. After all it was a journal of lists and needed plenty of room to write. Color Shine Teal is a great match for the blues used for this kit, and so I added that to the front as well the 'true fact' die cut piece. Created a title page with more of the journal cards. The 'story of my life' piece was trimmed out from a 4 x 6 card, and then layered back over that card with vellum in between. '46'...ah...what's in a number anyway...but I do love those Veneer Numbers still available at Chic Tags. 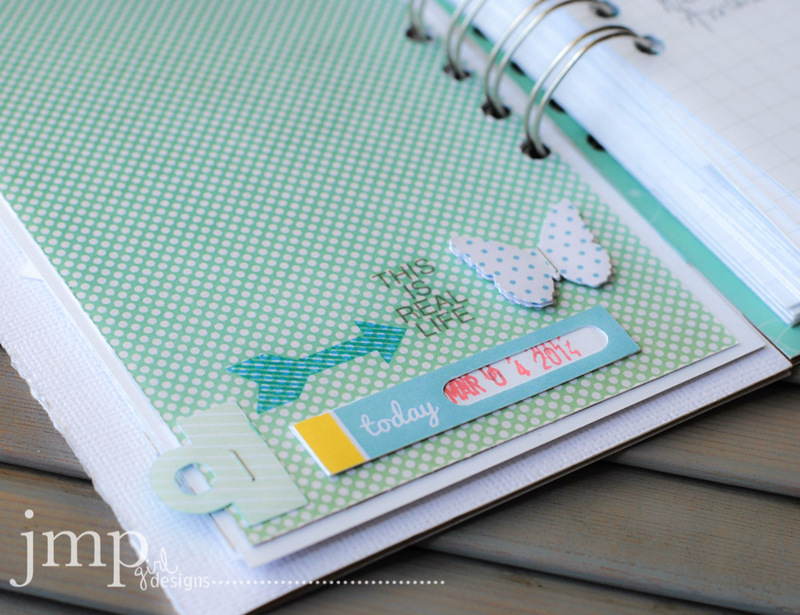 They have a polka dot emboss on them, are veneer, and I have managed to use them on many projects. 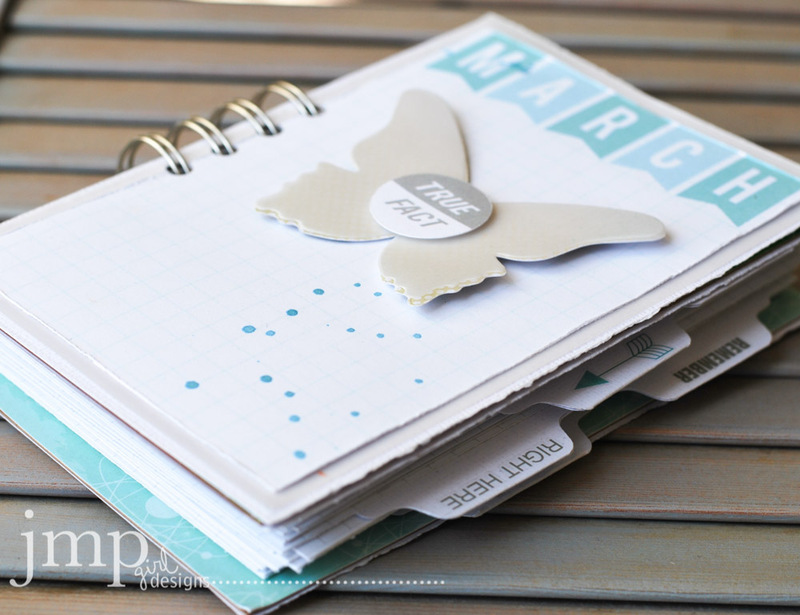 Turning the page there are more of my own die cuts, Love and Hearts, plus stamp image from the March kit. And then a prompt. I added 3x4 journal cards here and there, plus used 4 x 6 cards for answering the prompts. Some of the lists are obvious to me. Meaning, I don't need a list to remember. But the reality that some things are my 'right now' will be unique. I know me, and I will love looking back on this book in years to come when I am in yet a different chapter of my life. This IS real life, and real life seems to be relentless. I forget the seemingly little things. And there is just too much going on currently for me to want to forget. So how about you? Need a weekend project? this would be a great project. A great way to use up some of your favorite papers. scraps you need to clean up. or break open that new kit. Whatever it is, I hope you find inspiration in creating your book of list and keep track of your here and now. here's a free list to get you started. This is fabulous and resonates with me very much as I have decided to start a Project "My" Life just for me :) I love the graphic look of your album!